With four kids, my hubby and I have realized more than ever how important it is for us to take time out for date nights. The past couple of weeks we’ve been very intentional to go out to dinner together at least every other week. Recently, Outback Steakhouse has been the restaurant of choice. 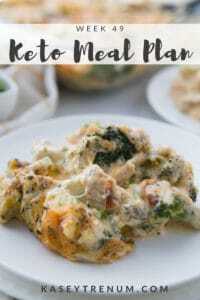 It’s such an easy restaurant for keto friendly meals, and they have a loaded broccoli side that is to die for. Today at lunch I was trying to figure out what to make because I have yet to make it to the grocery store after a crazy busy weekend. 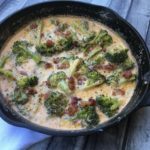 As I looked around my fridge I spotted fresh broccoli that needed to be cooked, and the first thing that came to mind was making a similar dish to what we have been eating at Outback each week, but adding bacon. This Loaded Broccoli turned out so good! I’m still stuffed from lunch. It was so easy to make. It can be served stand-alone or with a big juicy steak. I’m telling y’all, this Keto way of life feeds us well and Loaded Broccoli that is keto friendly /Low Carb did not disappoint! As I was thinking about what kind of cheese sauce to make, I decided to modify the sauce for my Creamy Parmesan Garlic Pork Chops by adding more cheddar cheese. It worked perfectly! 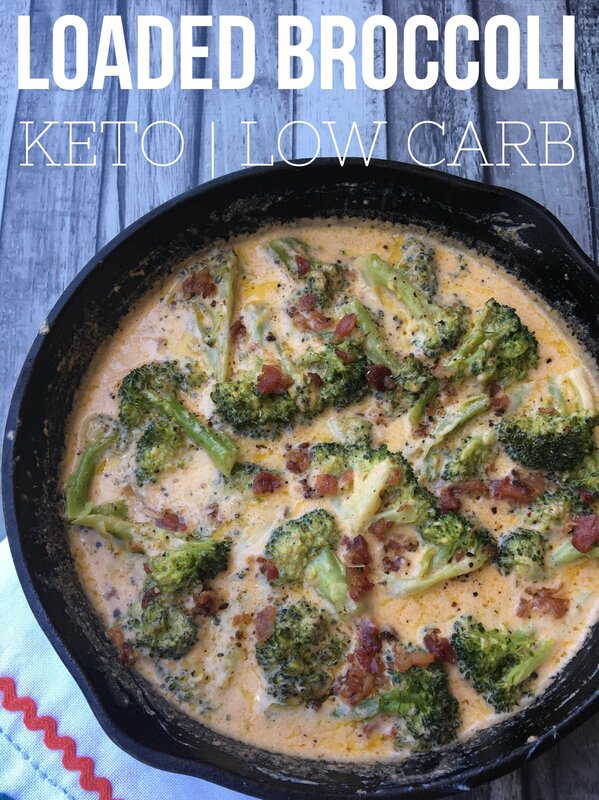 Doesn’t this keto friendly/low carb Loaded Broccoli look divine? If you don’t already have a cast iron skillet, they are super cheap on Amazon. I’ve got several that I use all the time. Steam or boil until desired tenderness then drain and set aside. 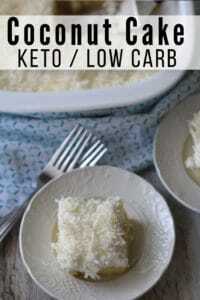 In a skillet add all other ingredients except bacon crumbles and whisk until combined. Cook on low/medium heat approx 5-7 minutes until sauce thickens whisking continuously. 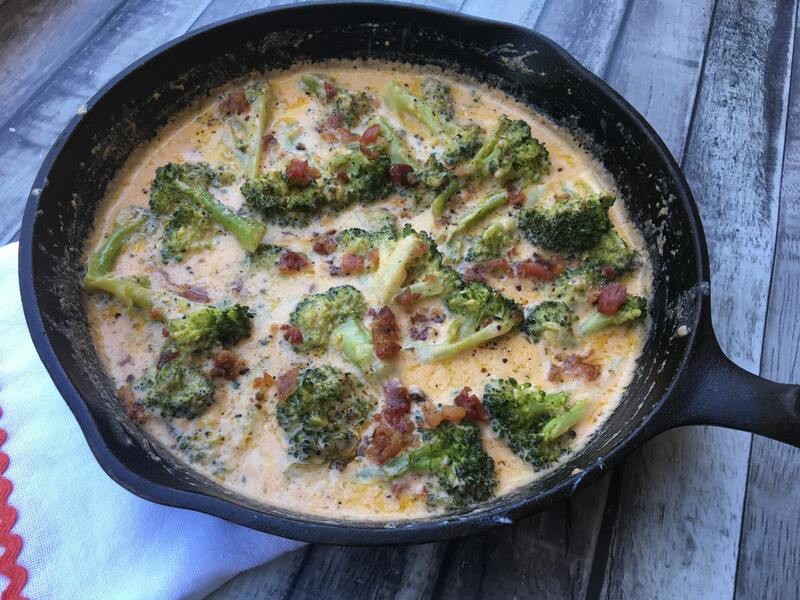 Add broccoli to cheese sauce and stir to combine. Optional: Place oven safe skillet in a 400-degree oven to crisp bacon crumbles. 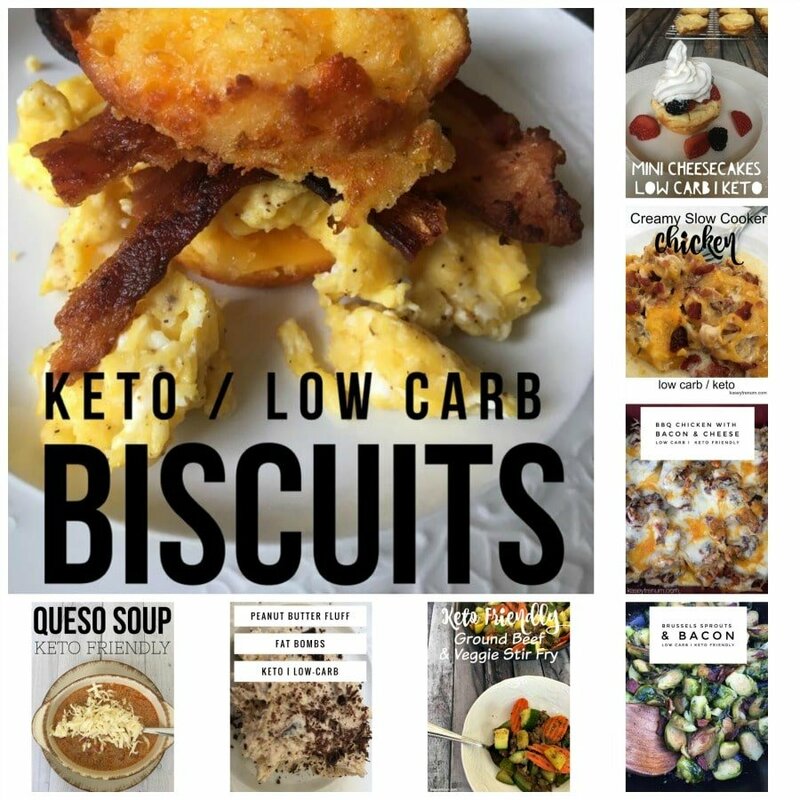 Check out all of my Keto Recipes in my Keto Recipes Index. Oh, my. Just had to let you know that this cheesesauce was the BEST! It makes quite a lot so I had leftovers for the next day and I do believe that the leftovers were just as good, if not better! I added more bacon to the top and it was a full meal! Loved it! Will be using this not only for broccoli but cauliflower, asparagus, drizzle over steaks, burgers, chicken etc. etc. So many ideas how to use it. I might add a bit more broth and just drink it! Haha! Thanks a lot for a great recipe! Fantastic! So glad you loved it so much! Could this be make without the chicken broth?what would I use instead? Perhaps you could try vegetable broth. I haven’t tested it with any other kind of broth personally. 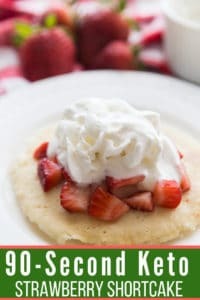 I have tried many of your recipes and just love them! 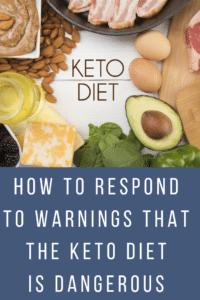 It is making the keto lifestyle so much easier to follow. Thank you for sharing. 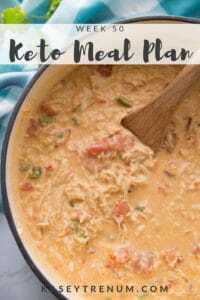 I’m so glad my recipes have been helpful to you! How much is one serving? How would I measure that? I don’t measure I just divide it evenly.